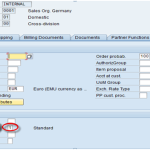 SAP SD means SALES AND DISTRIBUTION PROCESS. 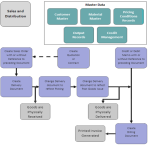 Its key functions cover an initial order till billing & delivering the goods. SAP SD allows the clients to operate some accounts such as customer master data, order for the sales, deliveries, pricing, billing and credit. It also works with MM and PP module to complete a delivery.